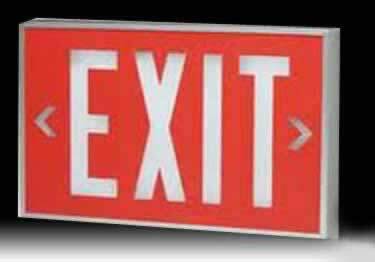 These signs are totally self-contained, highly durable and attractive. The Isolite Self-Luminous Signs are illuminated with a light source that consists of glass tubes internally coated with phosphor and filled with tritium gas, a natural isotope of hydrogen. A continuous non-electrical source of illumination Isolite Self-Luminous Signs are the practical solution for EXIT and safety marking requirements where performance can not be compromised.